One of the most difficult things for businesses is finding that one thing, that makes them really different than anybody else. For being in business at all. The true reason why somebody else should partner with you. The actual value that you add. And once you have found what makes you special, it is even more difficult to explain it in simple terms. Because sometimes is it actually a lot of things coming together in perfect harmony that makes the difference, not just one thing. We always say: we are software craftsmen. So what was the trick? How the heck was he able to build the best violins ever? Did he have a big company behind him, with a large production plant? No. Did he have a secret, that died with him? No. He was just a guy building violins the best he could, in a small production facility, behind his house. If you would ask him what the trick was: he would probably frown, saying what do you mean the trick, I don’t think there is a trick. If you would ask him: but if there is no trick, then how come you are able to do this, and others not?, he would probably say: I don’t know, I have been doing this whole my life, I just build violins. However, if you were to ask him: ‘So what kind of wood do you use? Then his eyes would probably start to shine. And he would say: Oh, that is nice that you ask, because I always use This kind of tree, nothing else, The rest is no good. And by the way, you never cut the tree in winter, only in the months of May and April, because that’s the best timing. Oh, and I almost forgot: never use the part to close to the trunk, but always 6 feet higher. That’s better for vibration. He would probably have a story like that for each part of the violin, like the strings. The point is: there is no trick, there is only experience, passion and craftsmanship. Collectively, they make a difference. That is why we are who we are, and why we make a difference. That is Do-How. We are software craftsmen with vision. The software world is undergoing tectonic shifts. Software products are transforming to Cloud-Only and SaaS solutions to deliver continuous business value, innovate faster, gain operational excellence and be part of multiple platform ecosystems. Software businesses are quickly adopting a cloud-native, services-first approach enabled by micro-services and containers. In this fast changing landscape, we help extend software craftsmanship to granular services that constitute products and platform ecosystems. In spite of the tectonic changes happening all around us, at our core we remained the same, with undiminished passion for creating innovative software products. We help build great software products through creativity, skill, and collaborative innovation. We also believe that innovation can’t be driven with a project-mindset, as others try to do. We envision a connected world, in which, every business will be a digital business, driven by software. 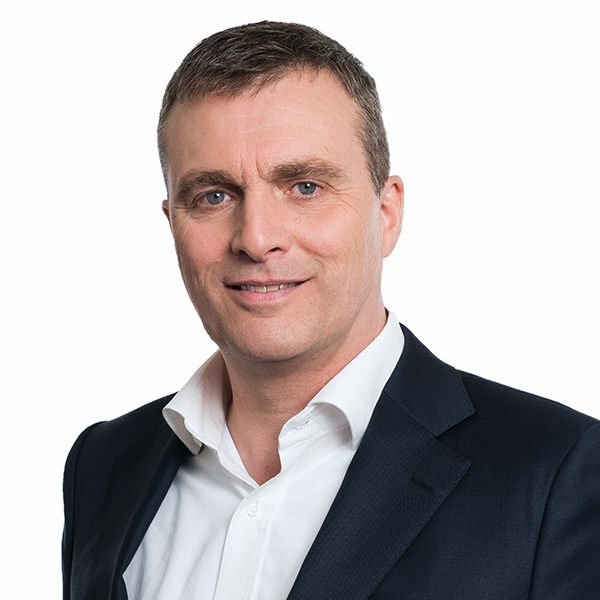 Even non-IT businesses will transform into IT businesses, and build new software-driven IP, which means that software expertise will be key for success in a connected landscape. What makes us unique and standout? Just like there is no single-trick behind a Stradivarius violin, there is no single factor that makes us special and unique. A combination of 25 + years of experience and insights of our leadership team in building innovative, enterprise-class, complex software for leading product companies and global markets, has helped us develop a unique blend of software craftsmanship and product expertise. We have bundled this collective do-how expertise and insights into TOP Cloud, a unique co-Innovation platform, that helps our customers take full advantage of our capabilities. We help software businesses succeed in a disruptive environment. With coMakeIT as a strategic partner, software businesses can rapidly build innovative software products, modernize their technology, reduce time-to-market, and transform products into a platform. Our software craftsmanship makes us unique and that’s why we standout. It’s been nearly a decade since the first major public cloud platform, Amazon Web Services (AWS) hit the market, and it is remarkable that in this relatively short period of time, cloud has become the new normal, and is no longer seen as a disruptive technology paradigm. If you are a software business offering traditional applications in an on-premises, licensing mode, you can safely assume that, it is just a matter of time before enterprises i.e. users of your software will adopt a cloud-ready application from a nimble-footed competitor.  Therefore, cloud transformation is no longer a matter of choice, but is a matter of survival, as well as a critical business need. In this digital era which demands anytime, anywhere, any device access of software services, only a cloud-first approach will enable you to meet these business and technology goals. Infrastructure as a Service (IaaS) is the most basic cloud-service model that provides computing infrastructure (servers, storage, network bandwidth, software licenses etc. ), as a service in a subscription mode. IaaS serves the needs of the IT organization, and dispenses with the need for businesses to make upfront investments in the technology infrastructure. This is an asset-light model, where businesses don’t have to worry about technology obsolescence, as it is the responsibility of the service provider to ensure flexibility and scalability of the technology infrastructure. Software as a Service (SaaS) is a model where the software application is delivered as a service over the internet, and businesses access the service through a web browser. The great advantage of this model is the ability to serve multiple businesses from a virtual environment, and the ease of delivering any changes, upgrades, and modifications to the software through a click-to-deploy model. In a SaaS model, businesses don’t get locked into expensive long-term contracts for software support and maintenance, and the vendor secures a recurring stream of subscription revenue, which is valued far more than one-time licensing income. Platform as a Service (PaaS) is a service model that provides a virtual platform to develop, deploy, and manage application lifecycle for solutions that are consumed over the internet. In this model of cloud computing, one can access on-demand environment for rapid development, testing, delivery and maintenance of software applications, in other words the entire platform from software development to delivery. PaaS caters to the engineering /product development needs of a business, and is a variant of SaaS with additional architectural and utility components, and is typically used for rapid development and deployment of mobile and web-based apps. Private Cloud, is a mode of deployment where the cloud computing infrastructure is operated exclusively for a single business or customer. In this model, the cloud computing service will be delivered through a private network, and the associated infrastructure can be either located physically with the business or can also be hosted by a third-party service provider. Public Cloud, is where the computing services are delivered and accesses through a public network that is open for all. In this deployment model, a third-party service provider owns and supports all the underlying infrastructure including all hardware, software, and network bandwidth. Amazon Web Services (AWS), Microsoft Azure, and Google Cloud are some of the well-known Public Clouds. Hybrid cloud is a composition of two or more clouds (private, community or public) that remain distinct entities but are bound together, offering the benefits of multiple deployment models. In this deployment model, sharing of the underlying infrastructure and seamless service delivery across public and private networks is facilitated by technology. Hybrid cloud is increasingly becoming popular for its flexibility, and for some businesses, offers the additional comfort of multi-tiered security and data protection. Ability to integrate with industry-standard cloud platforms and consume third-party services that can extend the functionality of the core application, is also becoming a key differentiator in a market driven by a platform ecosystem. 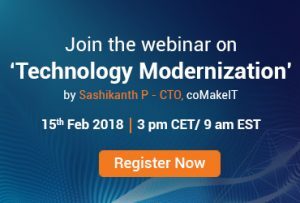 We, at coMakeIT have combined all our Do-How expertise and evolved a holistic and unique methodology to help our customers in their cloud transformation journey. The infographic shown below, gives you a high-level overview of our approach. Azeem Azhar the curator of the weekly newsletter Exponential View, makes some bold predictions for the coming year, on diverse topics ranging from international relations, convergence of technologies, crypto currencies, to impact of AI and augmented reality. With its unique demographic dividend, rising tide of entrepreneurial spirit, breakthrough innovations across sectors, and remarkable pace of bold and structural reforms, India presents an image of optimism and promise, with solid macroeconomic fundamentals and strong, long-term growth prospects. Eurozone’s economic expansion remains solid and broad-based, and is expected to sustain its strong momentum into next year, the European Central Bank said in its regular bulletin. The UK’s economy will slow further in 2018 as business investment remains on hold, interest rates creep up and indebted consumers curb their spending, according to more than 100 leading economists. Qualcomm is betting big on automotive technology for 2018 and beyond. Partnerships with JLR, Honda and BYD are first steps, and the impending NXP acquisition will likely accelerate its dominance in the industry. Chances are, that will be Qualcomm powering your in-car tech and comms in the not-too-distant future. The most disruptive tech trend of 2018 isn’t a technology, it’s a company. Amazon isn’t just changing our shopping habits, it’s disrupting entire industries, influencing the design of cities, and impacting our social lives. It threatens parts of our economy while creating new opportunities that make local manufacturing more important than ever. IBM announced a partnership with low-code development platform Mendix to bring Mendix and native integration with many of IBM’s Watson IoT and AI services to the IBM Cloud. This deal is an evolution of a previous partnership that involved what was then called IBM Bluemix (now IBM Cloud). The United States is projected to grow 2.7 percent in 2018 as tax cuts boost growth, the International Monetary Fund said in a new report. Worldwide IT spending is projected to total $3.7 trillion in 2018, an increase of 4.5 percent from 2017, according to the latest forecast by Gartner. Enterprise software continues to exhibit strong growth, with worldwide software spending projected to grow 9.5 percent in 2018, and by another 8.4 percent in 2019. Emotion artificial intelligence (AI) systems are becoming so sophisticated that Gartner, predicts that by 2022, personal devices will know more about an individual’s emotional state than his or her own family. AI is generating multiple disruptive forces that are reshaping the way we interact with personal technologies. International Data Corporation (IDC) Worldwide Semiannual Robotics and Drones Spending Guide forecasts that worldwide spending on robotics and drones solutions will total $103.1 billion in 2018, and by 2021, this spending will more than double to $218.4 billion. In this digital era, the debate must move beyond locations, national boundaries, and work visas. The focus must be on the best-possible innovation ecosystem which meets the diverse needs of a global marketplace. If your goal is to scale like a Unicorn, you must embrace an exponential mindset, leverage exponential technologies and adopt a lightning innovation strategy. Disruption doesn’t happen by accident. Businesses must make a conscious effort and create a culture of disruptive thinking. Businesses which master the ability to attract, recruit, and retain top talent will not only win the war for talent, but also win in the market place. Customer intimacy continues to be one of the important avenues for value creation, and is a key cornerstone strategy to help businesses achieve product excellence. Businesses must embrace a holistic, 360° strategy and redefine what customer intimacy means in the digital era. The demand to support continuously evolving user experiences, gave rise to continuous delivery of software, which in turn needs a tightly integrated software organization supported by continuous testing and DevOps. In this context, Independent software testing is a meaningless notion. Inspiration Session: We are co-hosting an inspiration session with one of our long-standing customers, MPO, which achieved significant success through its strategic partnership with coMakeIT. MPO is a fast-growing provider of sophisticated software solutions to the supply chain management (SCM) and logistics sectors. 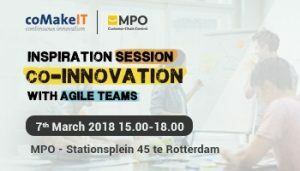 The theme of this session is: co-Innovate with agile teams, where Paul van Dongen, co-founder and CTO of MPO and Ronald van den Heuvel, VP software will share their insights on how to achieve success with agile development in a distributed environment. Register here to participate in this session. 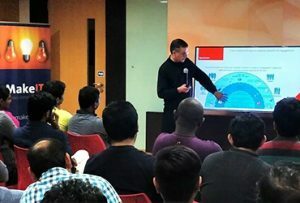 Java User Group Meetup: We were delighted to host the JUG meetup in Hyderabad at coMakeIT office.Theodoor van Donge (architect of Baan and Cordys ERP platforms), and Martijn Dashorst of Topicus (part of Iddink Group) were the featured speakers at this event. It’s a matter of immense pride to us that these visionaries and widely recognized technology leaders are part of our customer ecosystem. Theodoor led a session on Domain Driven Design, and Martijn shared his insights on realworld usage of Apache Wicket framework. OWASP Meetup We also hosted a recent meetup of the Hyderabad chapter of the Open Web Application Security Project (OWASP). 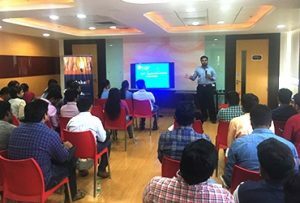 Speakers at this well attended meetup shared their insights on mobile penetration testing and usage of static analyser tools.